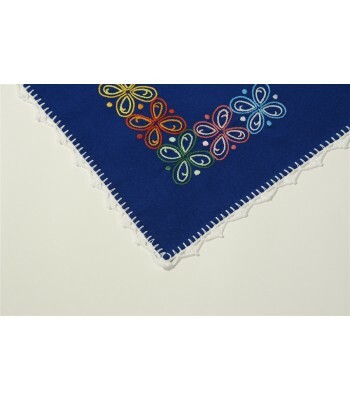 Citlalitzin is a group of people without any political affiliation, religion or race arising from the concern and interest to give back to disadvantaged people a bit of how much was received with hard work and love. Its mission is to train farming and indigenous communities from the Municipality of Aquixtla in Sierra Norte de Puebla to improve their current living conditions and to also allow them to be part of a work environment. 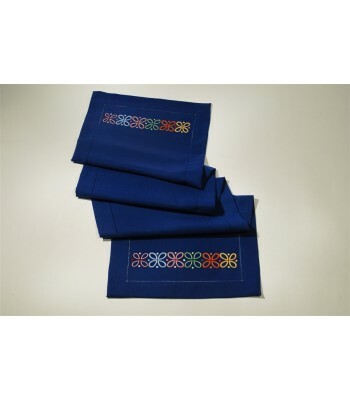 This organization has its own Community Center and a replicable model, with a solid structure that guarantees its continuity and success by being recognized by the community, investors and beneficiaries. 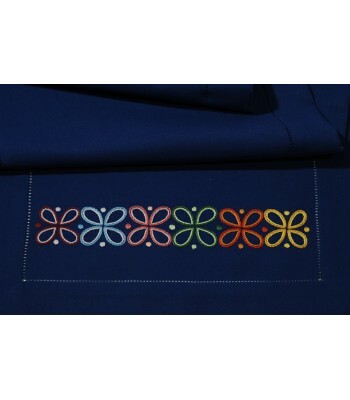 The first embroidery and knitting workshop started with 25 women from different communities, under the commitment to improve the quality of life of the people under social exclusion by providing them with employment. 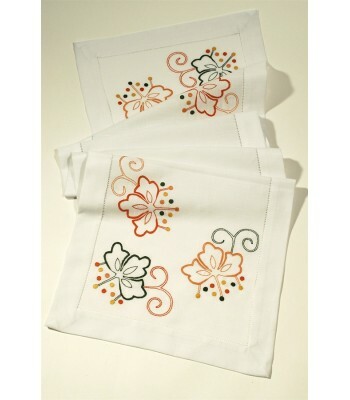 And the commitment to work to build a fair and equal reality for them. 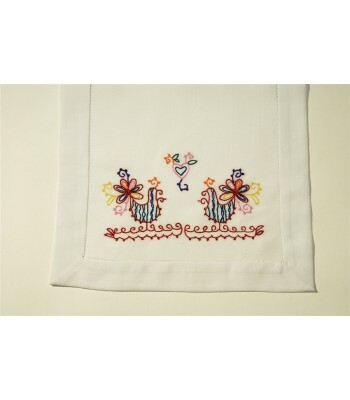 Regarding their textiles and embroideries, Citlalitzin works with skilled women who under the guidance of volunteer expert and enthusiast women learnt how to stitch designs and how to take care of the fabrics and finishes. 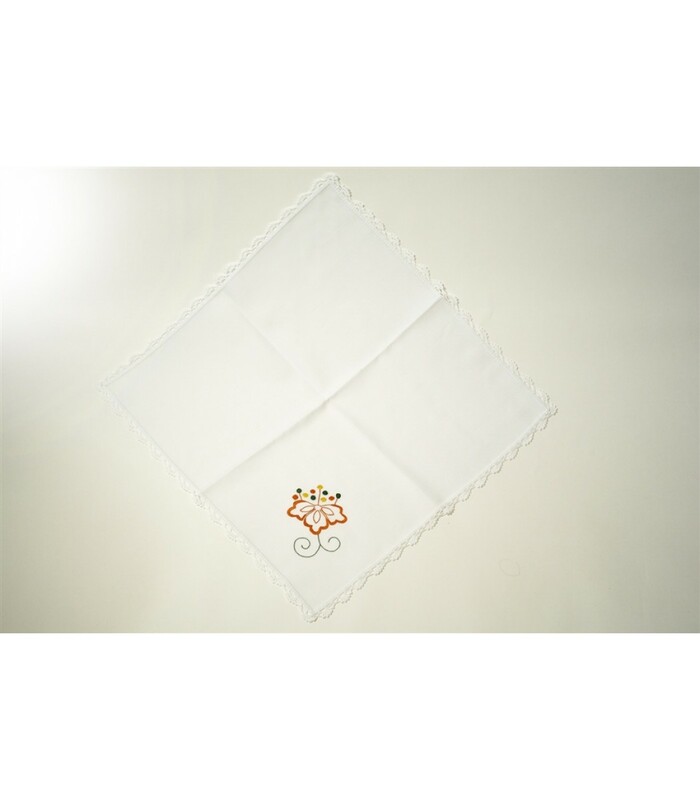 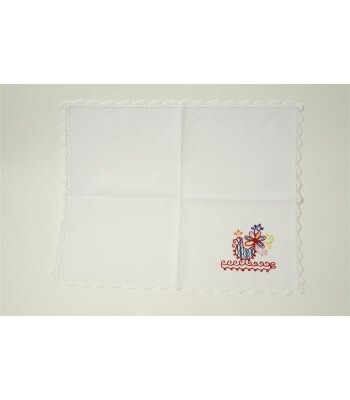 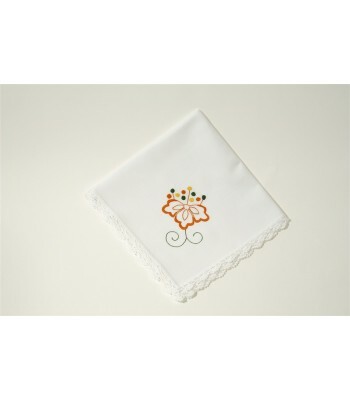 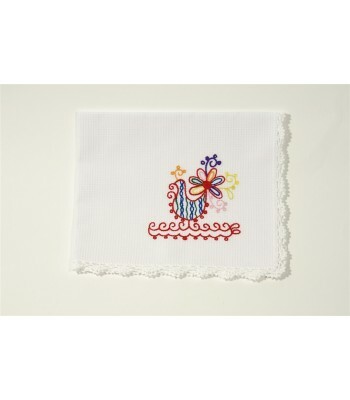 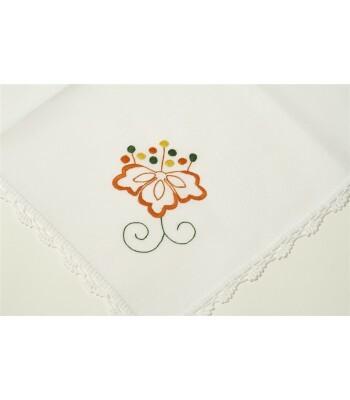 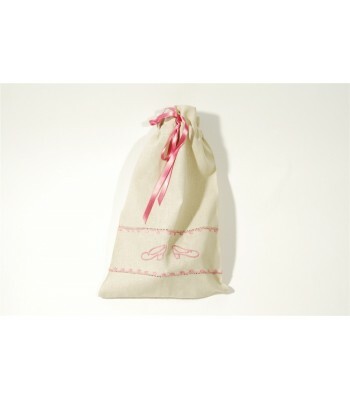 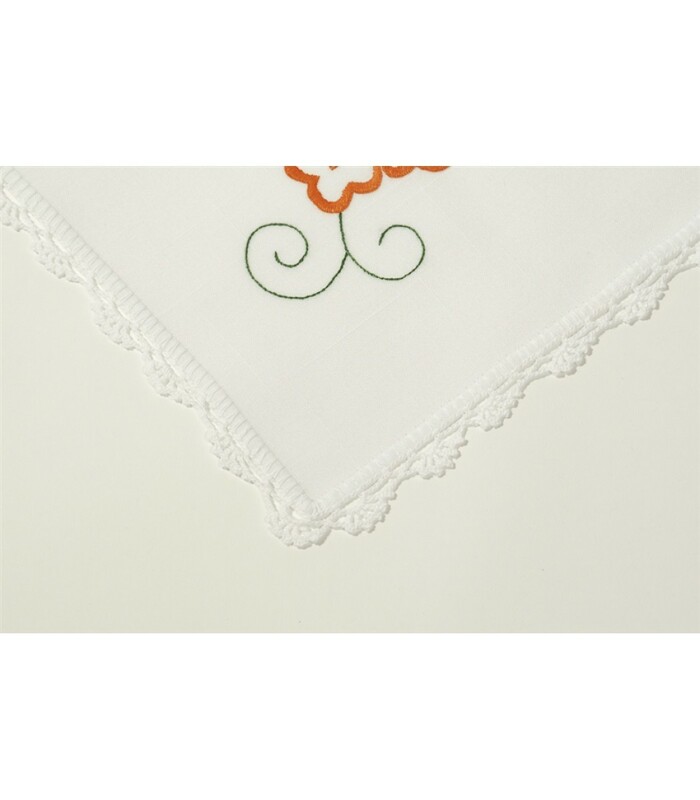 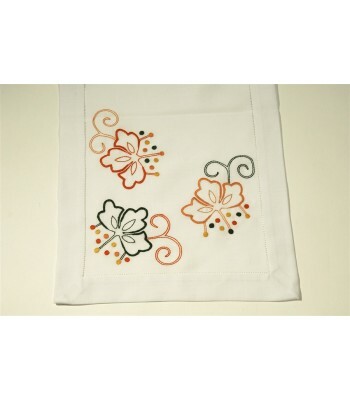 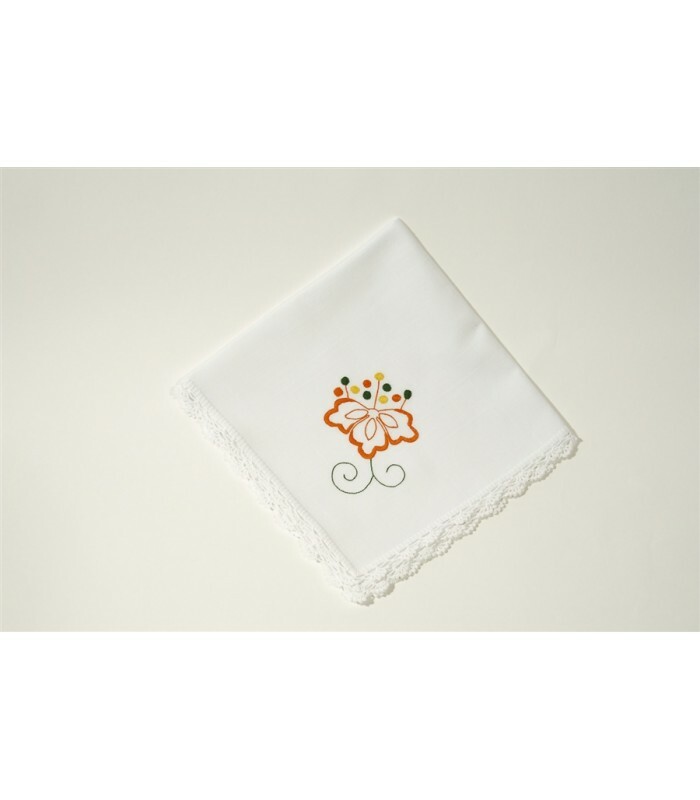 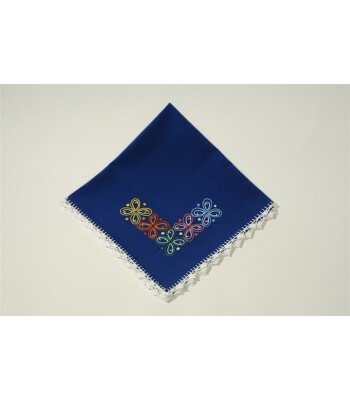 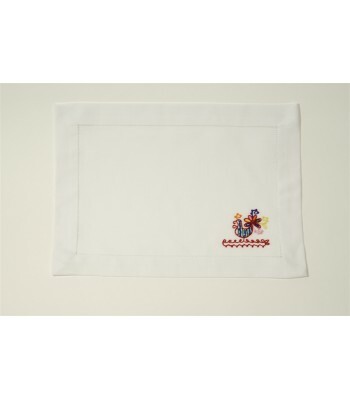 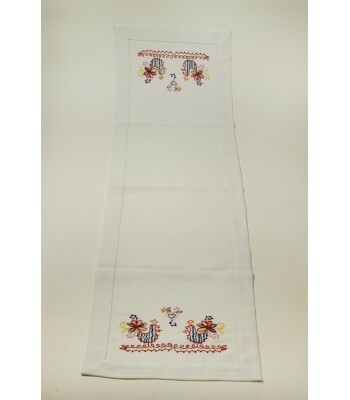 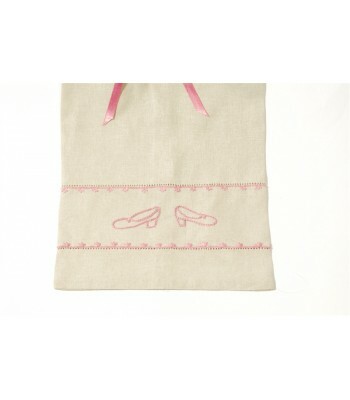 This is a white openwork hand embroidered kitchen towel with an orange flower, colored motifs and one white edge. 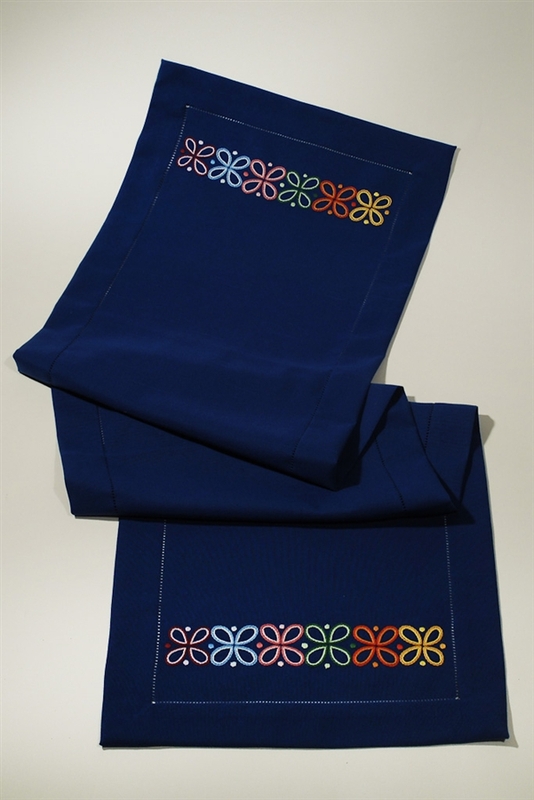 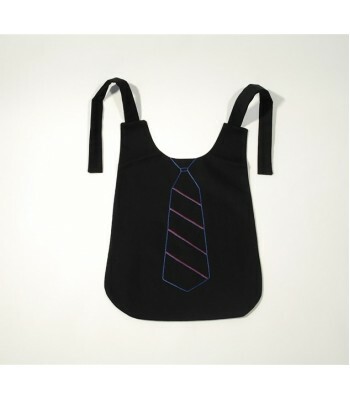 Made of blue semi-linen.